Rest assured that Bhauji is in the best of care under the loving attention of his family and medical specialists. Dr. Kalani; kidney specialist is in charge with Dr. Sonomnai; Colon Cancer Specialist and Dr. Kandekar; heart specialist also involved in insuring his best care. I have visited Bhauji and he is looking strong and vibrant. The caregivers who look after him daily are also noting his increased vitality. Baba’s presence is definitely surrounding him. It is believed that the infection was caused by the central IV coming loose. A prior wound is also considered to be causative. By orders of the medical specialists it is requested that there continues to be NO VISITORS. Bhauji is vulnerable to infections and repeated occurrences are debilitating. 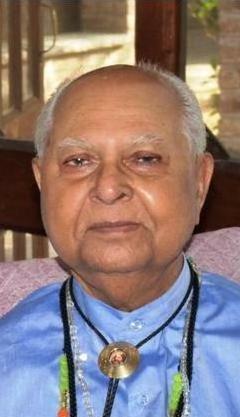 Please respect the doctors’ and the family’s wishes, allowing Bhauji to heal. Yesterday, his cultural report and drug sensitivity report was received and further decisions are being made based on these reports, under Dr. Kalani’s full observation. Sheela is keeping an eye on everything. Sheela wishes to acknowledge and offer thanks to not only the medical staff, but also to those who have donated blood, those who have helped with various needs that crop up and especially to his caregivers. The caregivers are Amir, Rahul, Hoomaya, Pooneh, Hooyar, Pooyar, Siamak, Shiva and Yohann. If she has missed a name, she apologizes. The blood donors are Peter Weiner, Judy Stephens, Flint Mednick, Siamak, Shiva and Michael MacDonald. Many others have generously offered to give blood. Sheela appreciates all these kind offers and no more offers are now required. They are awaiting the doctor’s decision on the appropriate time to utilize the donations. Sheela wishes to add that “there were strong reasons” for the changes she had to make. She alone takes full responsibility for all the decisions she has made as to Bhauji’s further care and will respond to queries once Bhauji is in stable condition and she can be free to do so. She further requests that Mehernath has much Trust responsibilities, and as she takes full responsibility for Bhauji’s care, please don’t trouble the family members unnecessarily, including Bhauji’s wife and grandchildren. Finally, I wish to personally say that the decision to share Bhauji’s health reports independently of the Trust was to ensure the best possible means to share Bhauji’s health updates internationally and simultaneously to abide by the necessary guidelines of the Trust. It is Baba’s Trust. His wish and Will is the foundation of the Trust. Sheela wants all to know that prayers, good thoughts and wishes, and remembrance of Baba can never be anything but helpful. This entry was posted in Meher Baba Speaks, News and tagged Bhauji, Mehernath, Sheela, Trust. Bookmark the permalink.